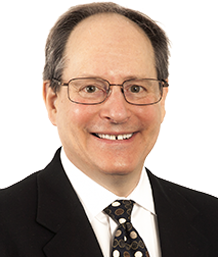 I am board certified in internal medicine and have been practicing both internal medicine and primary care in Newtown, Connecticut for 35 years. My philosophy of practice has always been to put my patients’ care first which means that my visits are unhurried and thorough with a focus on early diagnosis, health maintenance and preventive care. My office incorporates a wellness center with programs that include physical assessments, exercise counseling and nutrition counseling. I care for patients with chronic disease and physical disabilities to bring them to their highest level of functioning in order to return to a full and active lifestyle. Our fitness programs are also utilized by patients who strive to achieve healthy living and well-being. We offer stress reduction groups as well. I believe that a close collaborative relationship should exist between the patient and the physician. We are a team working together to achieve the ideal outcomes for your ongoing health. MDVIP shares my philosophy of healthcare delivery and through my affiliation with the national leaders in personalized healthcare, I can further enhance the level of care I am able to provide to my patients. Jeff: On the anniversary of your first year with MDVIP Marilyn and I wanted to shoot you a quick note congratulating and thanking you for your thoughtful and compassionate health care. We both feel we're in such good hands. And I , of course, enjoy chatting about aging, eating, and life in general during our get togethers. Fine doctoring..... Tucker F.
True definition of a physician. Dr Friedman is dedicated to the the well being of all of his patients. He He takes the time and the effort to make sure that we understand everything that we need not just on medication but also in lifestyle. True definition of a physician. He is compassionate and always there to help. Dr. Friedman is a throwback to the old days. He is compassionate and always there to help. But he is more than a throwback, he is highly competent and current in his medical skills.He also has a great bedside manner. I have been a patient of his for almost thirty years ! That says a lot doesn't it ? I have been with Dr. Friedman for over 25-years. Current event. Came down with Influenza-B w/pneumonia. Dr. Friedman's immediate attention to my serious condition certainly kept me out of the hospital and probably saved my life. We even face-timed! Never done that before, however I was really failing and being able to actually speak with him in real time was amazing. my medical care is in the best of hands. I was so very grateful for Dr. Friedman's input as to my choice. Highly recommend Dr. Jeffrey Friedman. He is excellant with illness and preventative. Dr Friedman was there for me. office visits set up promptly. Im very happy with MDVIP. Is Concierge Medicine Eclipsing Traditional Healthcare?